This gold faux bamboo server by Baker is one of my favorite all time Chinoiserie pieces - fabulous but also fabulously pricey. It is pictured here in the first three photos. The bottom photo is my new great find at a fraction of the price. 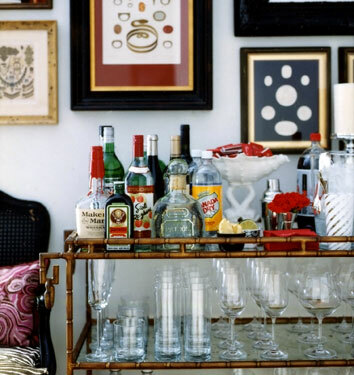 It is somewhat smaller, but still a great size for a bar. 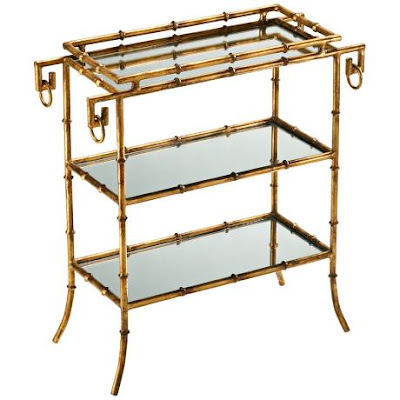 Both have the gold bamboo frame and the mirrored shelves. I know! 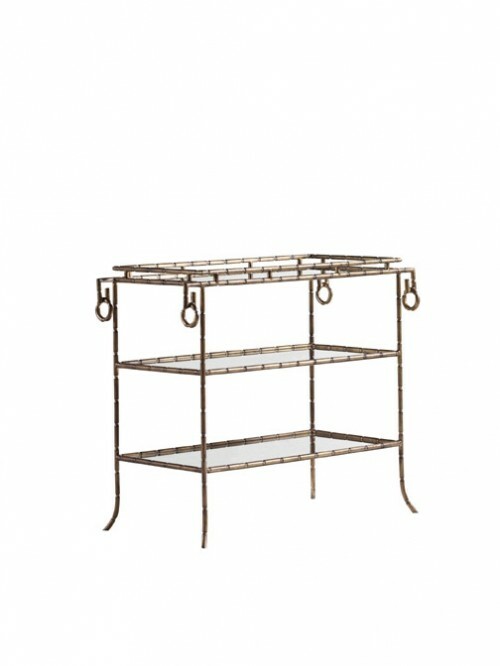 that little cart from Lamps Plus is FABULOUS for the money!!! and IRRESISTABLE!!! Thanks for all your wonderful finds! If i want to shop Chinoiserie, I come here first to check out your finds. 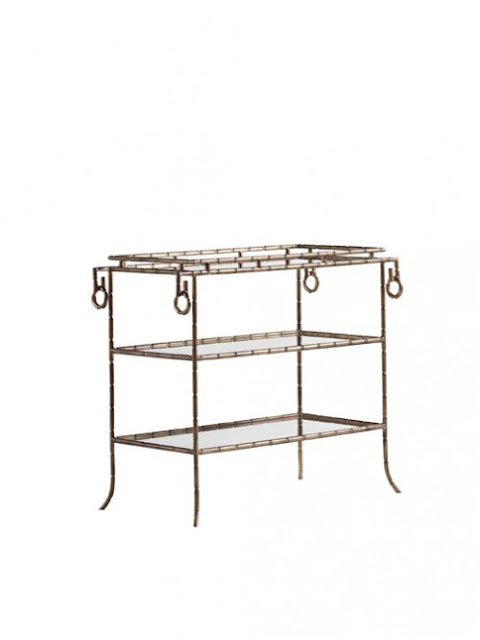 Do you remember the white fabulous Chinoiserie table from K-mart you posted many moons ago? Well, i have decorated many rooms with her...........what a quality product for the money,......and at K-mart. This is another winner! LOVE, LOVE! Wow they look remarkably alike and I am sure there is a hefty price differential. Both very good looking! 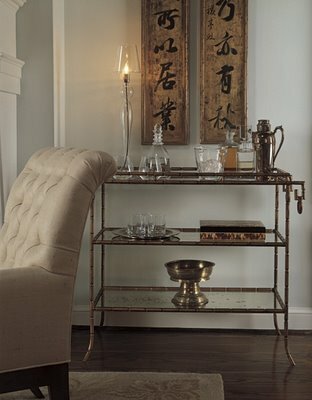 This is seriously the one piece I have forever wanted in my living room...gold bamboo bar. Still searching locally for a great bargain i can jump on! Great post dahhling.. all examples very chic. Quick question, as you are the source of everything amazing chinoiserie! I am totally digging the beds used by T Scheerer in his Lyford Cay Project.. any idea who makes these or any other good sources?